You are overdue on your claims. Please finish them or you will be banned. Please reread the rules, do not bump the thread. It hasn't been a month. Gore and NSFW is okay with me! Claim! Done and sent a transfer! 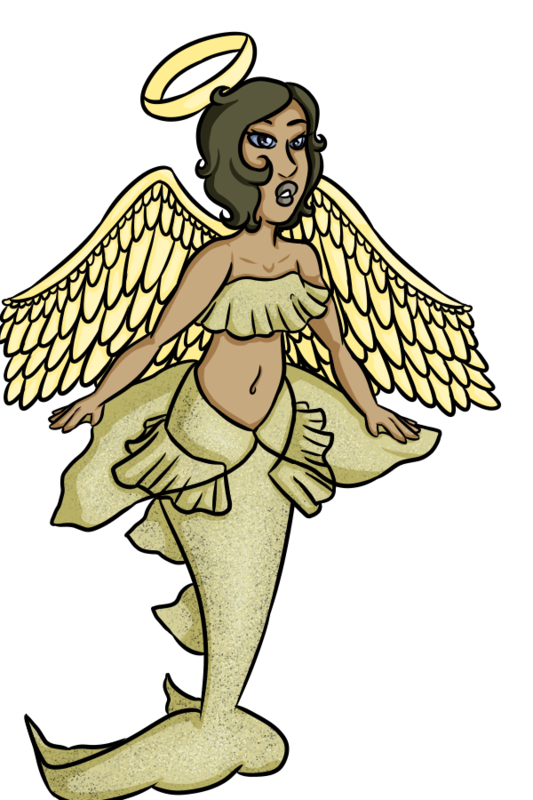 Ever since I learned about the angel shark's existence I always wanted to make a silly angel/mermaid mashup of them. Nsfw or gore is fine but please no dinosaurs as I have a phobia of them.